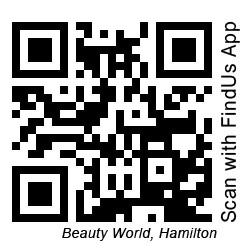 Beauty World are stockists of Nimue. You must have in salon consult before purchasing Nimue products. Please book in for your complimentary consultation. Nimue was launched in 1994 and is a derma-cosmeceutical skincare brand sold in 23 countries around the world. Nimue was originally formulated by a plastic surgeon aimed at the medical market for pre and post-operative application. Nimue is known for its world class formulations and scientifically proven delivery systems, which ensure our products penetrate deep into the skin to actively improve skin health and appearance. Nimue is renowned for its expert understanding of the skin and the effective treatment of various skin conditions. Nimue is one of the only skin care brands to offer a refill system so you only pay for the beautiful packaging once. Good for your pocket. Great for the environment. Nimue’s skin health programme is based on the application of prescribed homecare products, combined with professionally administered treatments to transform the skin, starting in the deepest layers. Using Nimue’s homecare products only will result in a 25% visible improvement to the skin. Nimue has step-up products (Active Lotion and Active Gel) which new users should only add 4-6 weeks after starting their use of Nimue. These step-up products improve visible results by a further 25%. Professional treatments enhance the penetration of active ingredients in prescribed homecare products. Combining homecare products with professional treatments results in an additional 50% improvement to the skin. More information on how to use each of the products in the 12 Week Challenge kits is detailed in a user guide in each kit.